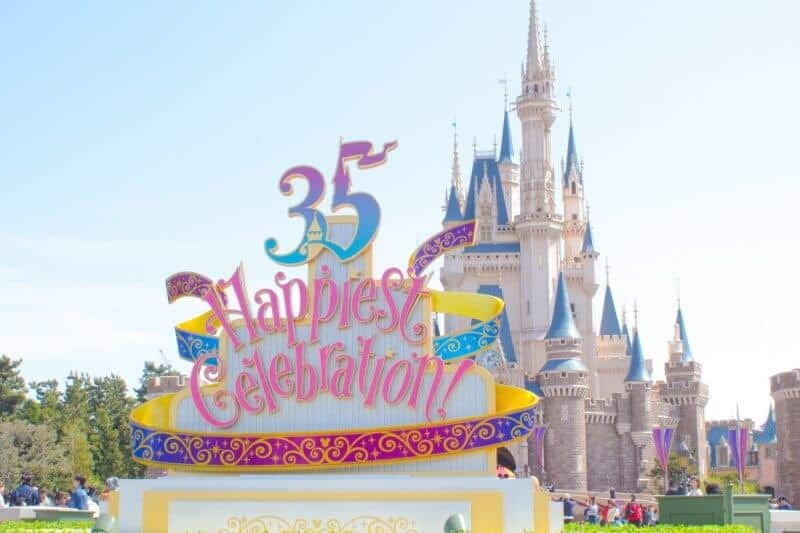 Tokyo Disney Resort 35th Anniversary “Happiest Celebration!” runs now through March 25, 2019. 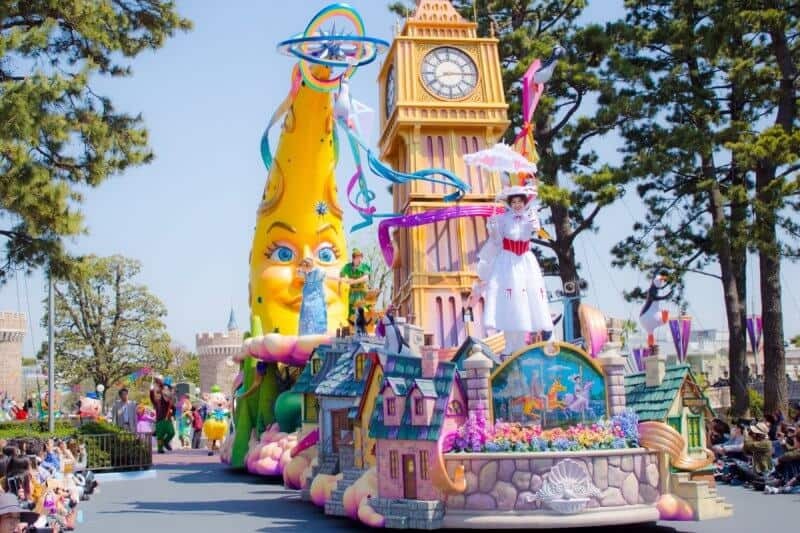 This year-long celebration features special entertainment, decorations, merchandise, food, and the debut of the brand new parade “Dreaming Up” at Tokyo Disneyland (replacement for the Happiness is Here parade). 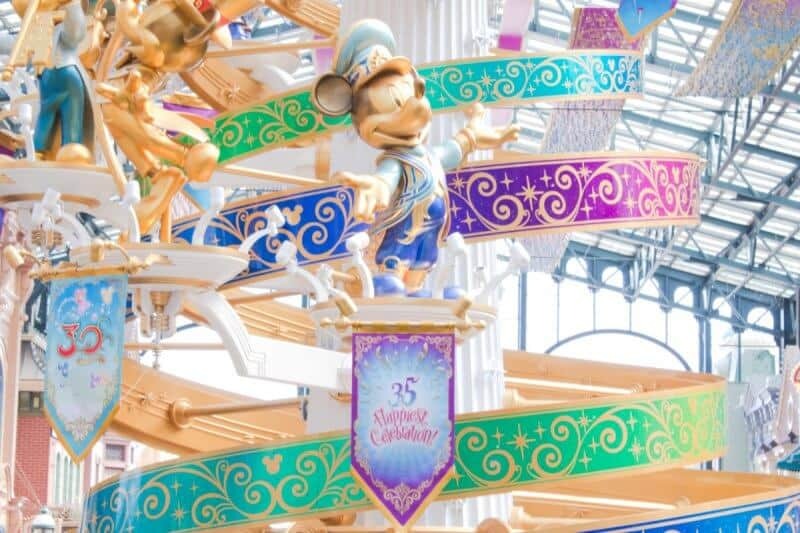 The celebration is happening at Tokyo Disneyland, Tokyo DisneySea, and the Disney Hotels. The event is in addition to the seasonal events for both Parks throughout the year (this includes decorations). 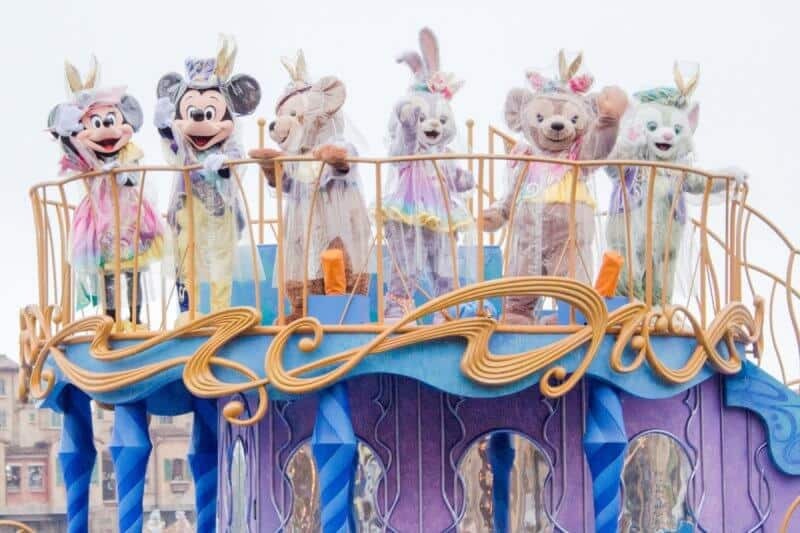 The only exception to this being no Disney’s Easter at Tokyo Disneyland for 2018 (due to the beginning of the anniversary). 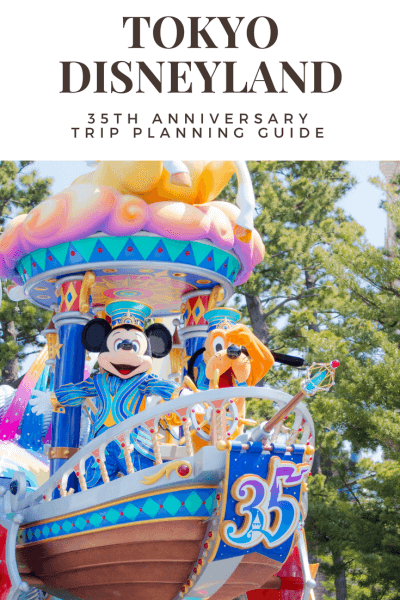 See our Tokyo Disney Resort Events Guide 2018 for a full calendar. This guide gives you everything you need to know (and then some) about this special event, including our best tips and advice to make the most out of your visit. 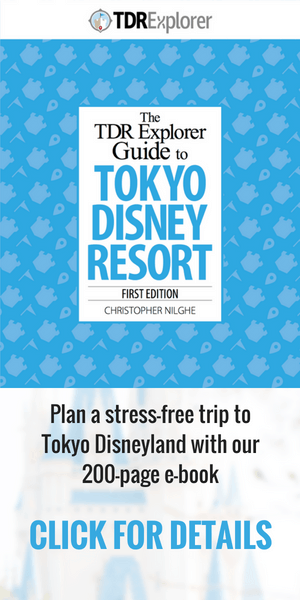 Pair this with our 200-page e-book on Tokyo Disneyland and you’ll be unstoppable in the Parks! The tips and recommendations are at the top to make it easier to find when you’re in the Parks. I recommend reading through this entire article to make sense of all the tips. It’s not a celebration without a surplus of food and drinks to keep you going all day! 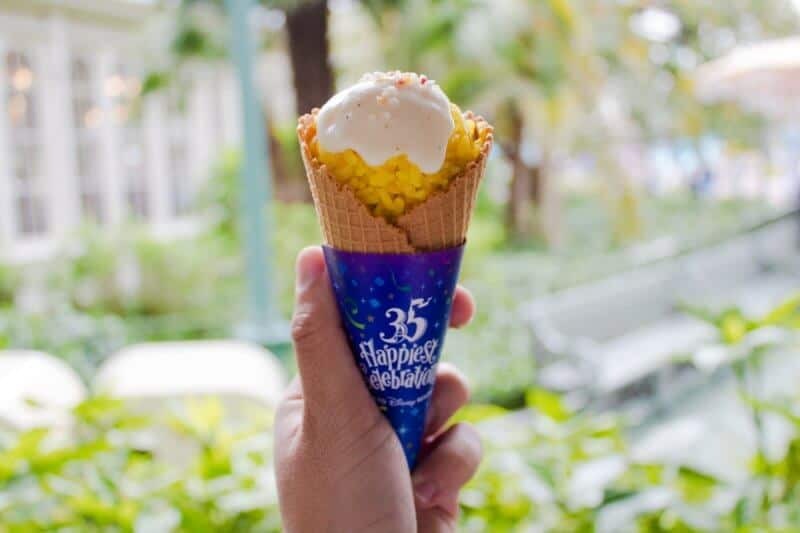 The 35th Anniversary has something for everyone, from cotton candy churros to a beef cone (trust me on this one). There’s so much food that we have an article dedicated to reviewing all the different food options, including my recommendations. Read our reviews of the food available for the 35th Anniversary. 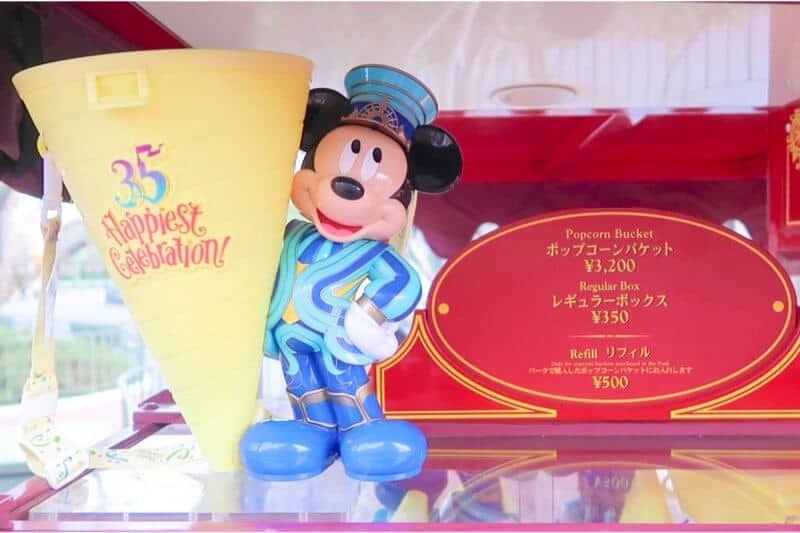 The video below gives an excellent overview of the snack options for the 35th Anniversary. We also have a full list complete with photos here. The Disney Hotels also have their own special food and drink too for the anniversary. The Resort has a few items available during the anniversary. 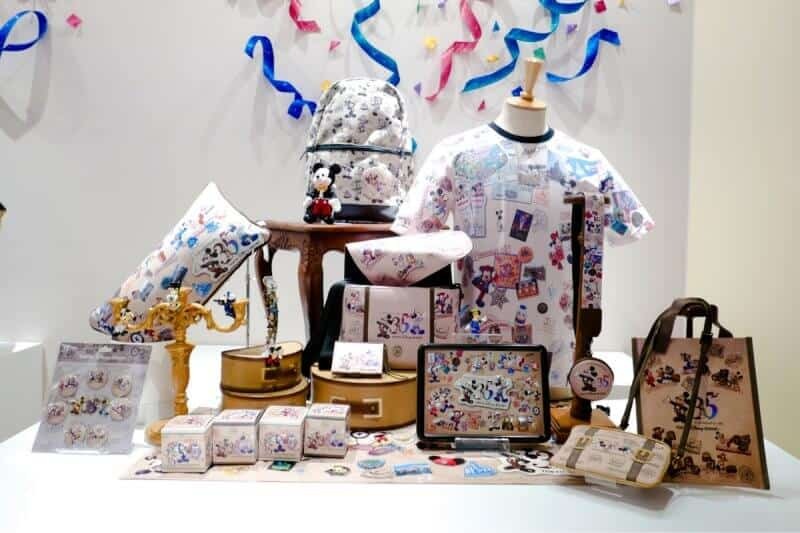 Items are available at both Tokyo Disneyland and Tokyo DisneySea. Bon Voyage (the store just outside Tokyo Disneyland on the way to Maihama Station) also carries anniversary merchandise. Items are on sale for the duration of the anniversary event but may change or sell out without notice. Here’s a look at what’s available! Don’t forget to subscribe to us on YouTube so you never miss any of our newest merchandise videos. 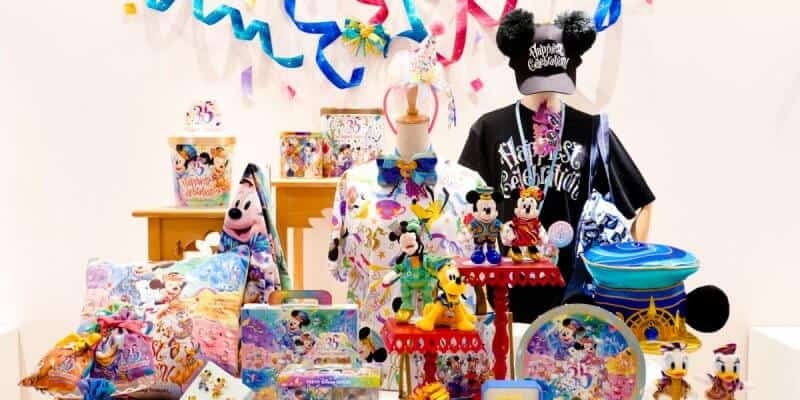 The main line of brightly colored “Happiest Celebration!” merchandise includes plush, t-shirts, stationery, key chains, charms, and gifts. The cute character-focused designs are classic Tokyo Disney Resort! Find the details on all 70 items in our 35th Anniversary Merchandise Guide. The retro-style “35 Years of Memories” line features Mickey designs from throughout the Resort’s history. The range is more muted than the “Happiest Celebration!” items and features cool references to various lands and attractions. Plus, the old-school Mickey plush badge is a must buy! Check out the full selection in our 35th Anniversary Merchandise Guide. Duffy and Friends are celebrating the Resort’s 35th Anniversary with a collection of music-inspired costumes, plush, and gifts. It’s unclear how long this Duffy line of items is available for. See the full collection in our Duffy and Friends “Marching Band Fun” Guide or the video above. Two special popcorn buckets made their debut as part of the 35th Anniversary. 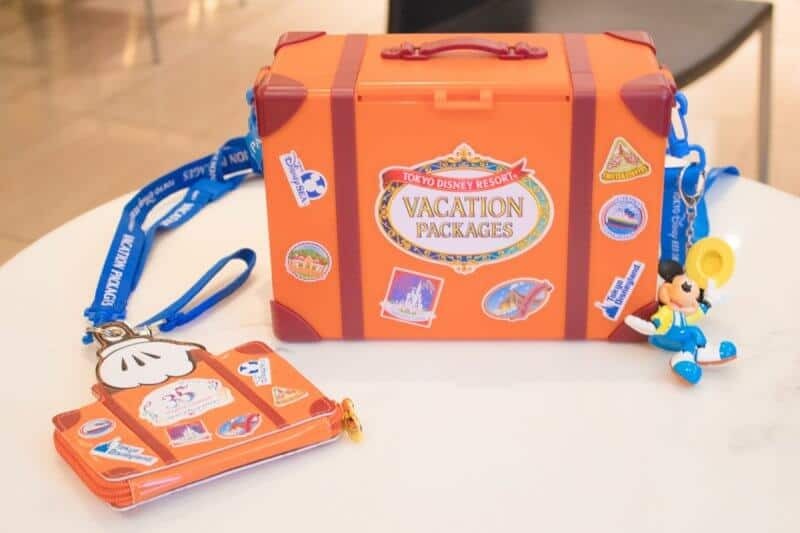 The suitcase bucket is only for guests who book a Tokyo Disney Resort Vacation Package. The cone-shaped bucket is available at both Parks during the anniversary. 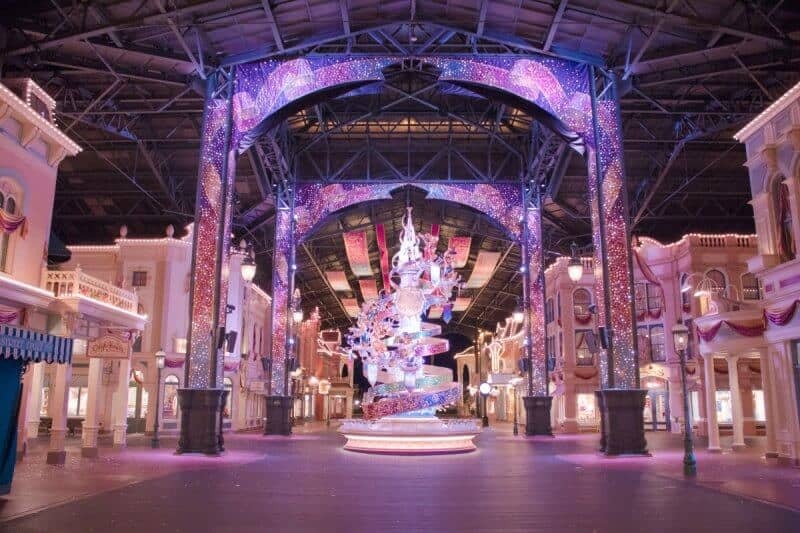 See our article on why you should get a Tokyo Disney Resort Vacation Package. For a list of current popcorn buckets, check the official website for both Tokyo Disneyland and Tokyo DisneySea. It’s constantly updated with what buckets are available and where to find them. It’s only in Japanese, but using Google Translate helps. Also, taking a screenshot and showing a Cast Member is a useful tactic. In addition to the items above, there’s even more new merchandise available as part of the anniversary. To celebrate the 35th Anniversary, a brand new Chocolate Crunch shop opened called “Duck Family Chocolate Competition” at Tokyo Disneyland in the World Bazaar. 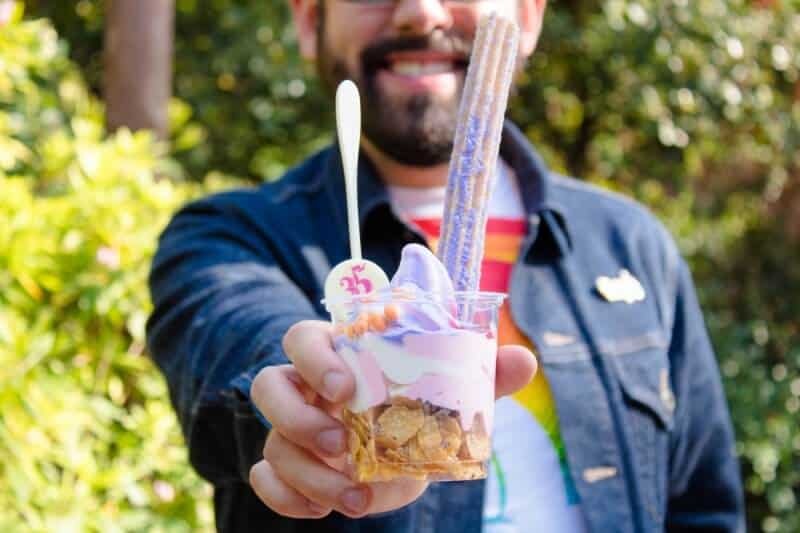 Chocolate Crunch is a popular snack and souvenir at Tokyo Disney Resort, which has come in a huge variety of flavors and packaging over the years. “Duck Family Chocolate Competition” shop sells merchandise, Chocolate Crunch tins, and lets you create your own with a variety of flavors, tins, lids, and ribbons available. New entertainment made its debut with the start of the 35th Anniversary. In summer 2018, even more, new entertainment will make their debut. 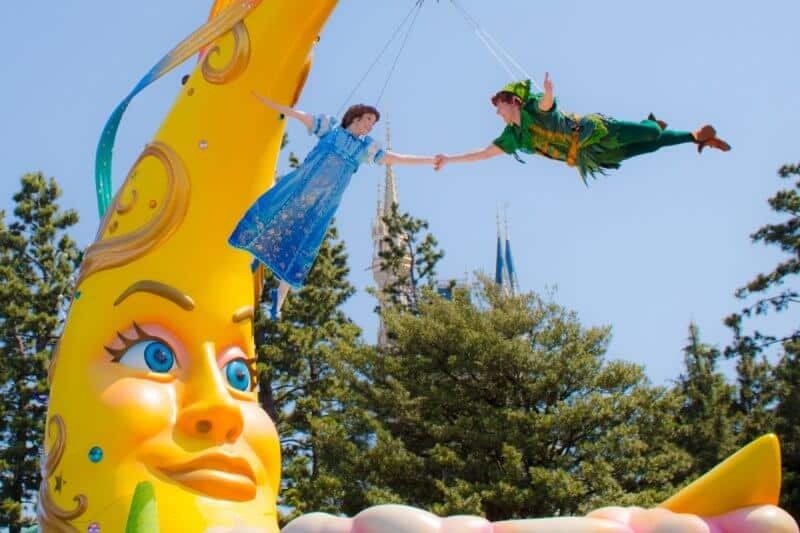 Tokyo Disneyland’s brand new parade features characters from Fantasia, Beauty and the Beast, Peter Pan, Big Hero Six, and more. The brightly colored celebration includes a new soundtrack (the song is available on CD at both Parks), fantastic choreography, and Mickey and Friends dressed in their 35th Anniversary costumes. For more information on what’s in store, check out our photo report of the first ever performance of Dreaming Up. 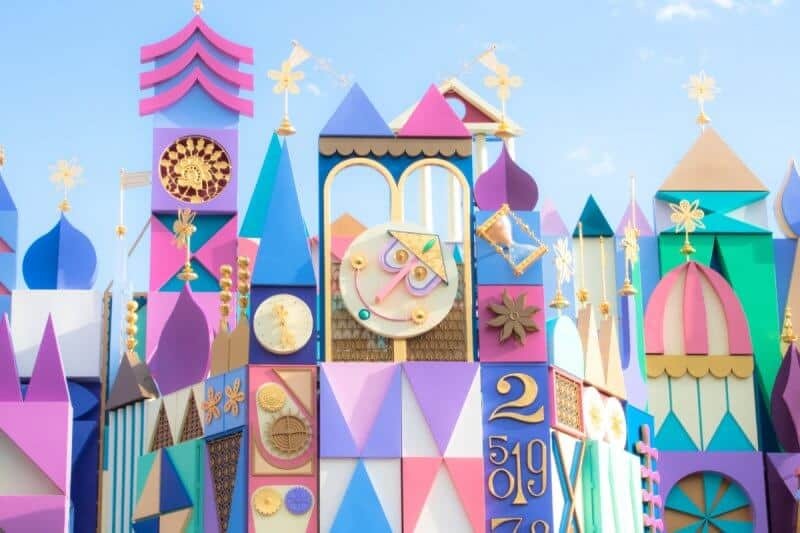 After a year-long refurbishment, “it’s a small world” has reopened with 40 new Disney characters presented in the classic “small world” style. Look out for characters from Frozen, Alice in Wonderland, Cinderella, Peter Pan, Tangled, Mulan, Aladdin, and The Lion King. To celebrate the attraction’s return, Disneyland has launched a selection of Disney character merchandise and will be selling a specially themed pizza throughout the anniversary celebrations. At Tokyo DisneySea, the “Happiest Celebration on the Sea” sees Mickey, Minnie, Duffy, and Friends sail across the Mediterranean Harbor to greet guests and celebrate the Resort’s 35th Anniversary. While this isn’t a full parade-scale show, it is a nice opportunity to see the characters in their special “Happiest Celebration!” costumes. The new nightly fireworks show includes a special soundtrack and is viewable from almost anywhere in Tokyo Disneyland and Tokyo DisneySea. Both Parks feature new atmosphere entertainment, including specially dressed marching bands performing memorable Disney songs. From July 10, 2018, new entertainment will begin at both Parks. Tokyo Disneyland will debut a high tempo dance party called “Let’s Party Gras!” while DisneySea’s Dockside Stage will host “Hello, New York!,” which sees Mickey, Minnie, and Friends celebrate the city that never sleeps. A brand new castle projection show called “Celebrate! Tokyo Disneyland” debuts at Tokyo Disneyland with new effects, water cannons, and features the anniversary theme song. 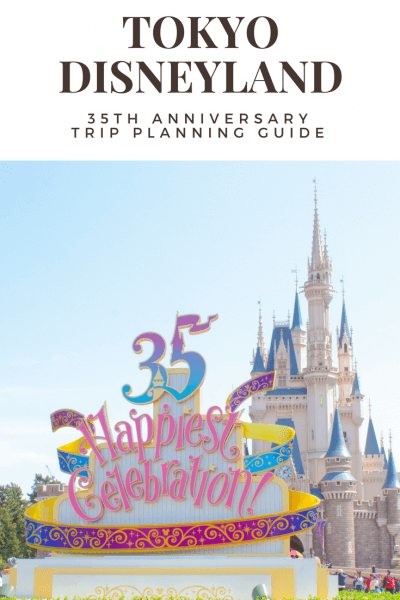 From January 11, 2019, to March 25, 2019, the 35th “Happiest Celebration!” will mark its final months. 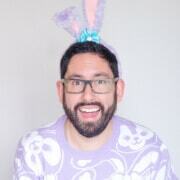 There’s no information about what this will include, but past “finale” additions to events have included changes to entertainment, new decorations, and special food and merchandise. We’ll update this section once more information is known. Our construction walls in Tomorrowland are even themed! 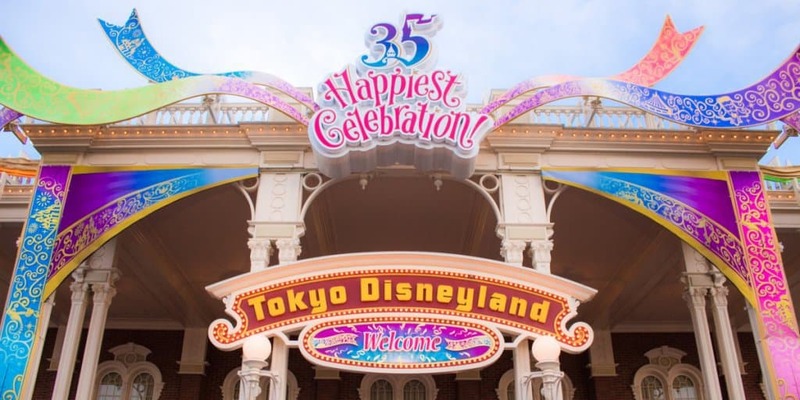 Both Parks are decorated for the 35th Anniversary, with most decorations found at Tokyo Disneyland. The decorations stay for the duration of the anniversary and are mixed with the seasonal event decorations. Tokyo Disneyland’s World Bazaar has transformed into “Celebration Street” with decorations, confetti canons, and the 10-meter tall “Celebration Tower.” The tower features nine different Mickey Mouse statues, with Mickey wearing costumes from the Resort’s previous anniversaries and Park opening celebrations. Each evening Celebration Street comes to life with two projection shows illuminating the Celebration Tower and the buildings of the World Bazaar. There are two different shows, both a few minutes long and starting about every 10 minutes. 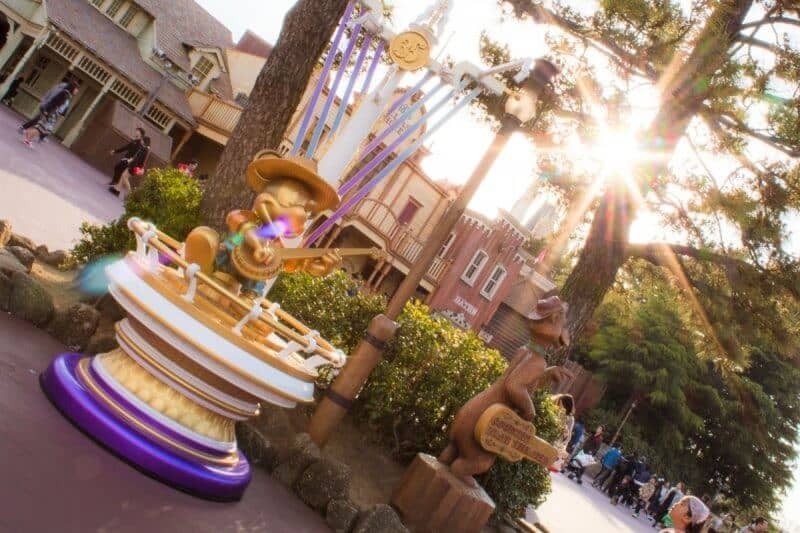 Across Tokyo Disneyland and DisneySea, 35 Happiest Mickey Spots will feature a statue of Mickey unique to each of the Parks’ lands and ports. The new “Happiest Memory Maker” interacts with the Mickey statues with sounds of the cute scene depicted. Guests staying at the Tokyo Disneyland Hotel get special decorations in their rooms, too (including your room keys). 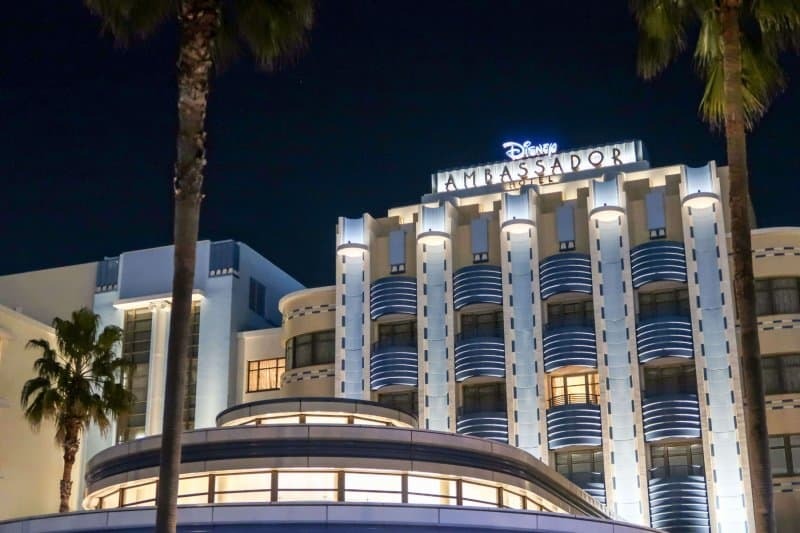 Read our list of Tokyo Disney Resort Hotel reviews and recommendations to help decide where to stay. 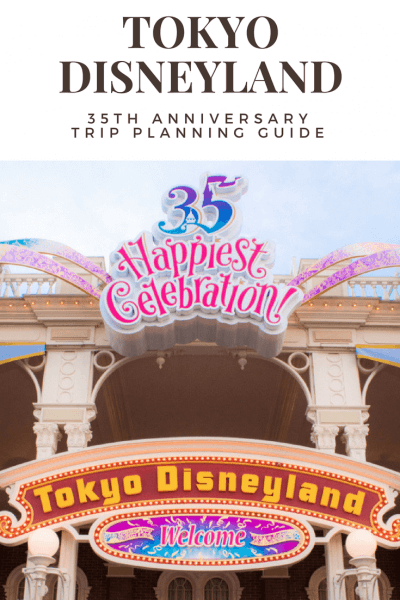 So there you have it, Tokyo Disney Resort’s 35th “Happiest Celebration!” With so much happening, is this the year you plan your trip to Tokyo Disney Resort? If so, be sure to check out our Tokyo Disney Resort Events Guide 2018 to see the other seasonal events happening this year. 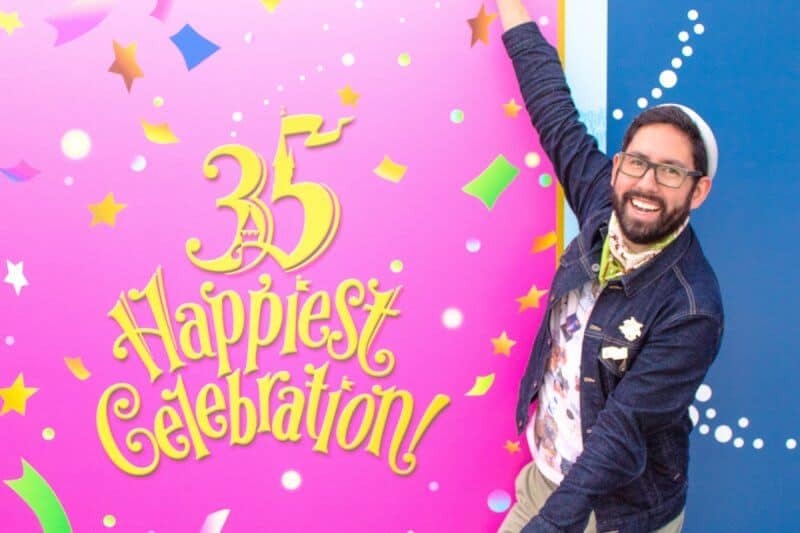 Chris, will the 35h anniversary decorations, snacks, and merch still be around during Christmas? Or will the Xmas stuff replace it all? Yes all that will be around along with the Christmas decorations. The food does change however, so keep an eye on the website. Do you have any idea how long the 35 year anniversary pins will be given out to “losers” of the Midway games? I am headed to TDR next month and hoping they still give it out. It will be my 4th trip to the TDR.